Buy Matthew Marquez a Coffee. ko-fi.com/matthewmarquez - Ko-fi ❤️ Where creators get paid by fans, with a 'Buy Me a Coffee' button. I'm a photographer in Florida (sometimes Italy)! I shoot cosplay and portraits and sometimes weddings, usually digital, sometimes film. I experiment with infrared, projections and other techniques. Donations go toward supplies and new gear to help create new images. Check out my website to see everything and to book sessions. Thanks! Welcome to my Ko-fi Page. If you enjoy my content, please consider supporting what I do. Film and camera gear is expensive! Thank you. Secured Payments. Support goes to Matthew Marquez's account. 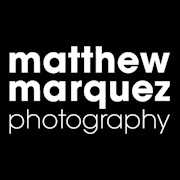 Upgrade Matthew Marquez to a yearly Gold Membership with a one-time payment.